When I first moved to Florida, back in 1979, I lived in Deltona. Saxon Boulevard was a small back road that took us out to Orange City where a couple of stores were. A few years later the whole state had a population boom and Deltona became huge. That area is all pretty different now with shopping centers on every corner and Saxon Blvd. is a big, 4 lane road. Deltona is about half way between Orlando and Daytona Beach in central Florida. It’s about 30 minutes from the Atlantic Ocean and beaches located in Volusia County. When my oldest son (now age 36) began first grade there were only two elementary schools for the town of Deltona. One was in Osteen and one was in Enterprise – both little towns on the outskirts. There was one middle school and everyone went to Deland for high school, if my memory serves me right. Later on there would be two huge high schools and many other schools all over the city. 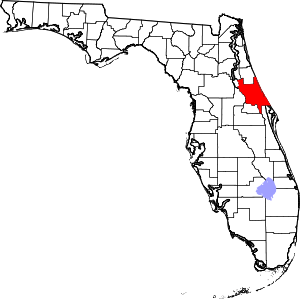 We had a house built in Osteen years later and by the time I moved back north and left Florida, Deltona had grown to be one of the largest cities in the area, if not the state. But there was nothing there except houses (lots and lots of houses) and schools with a couple banks, churches, grocery stores and gas stations thrown in. It had started off as a retirement community and a developer (Mackle Brothers?) came in and put up a bunch of tiny houses for retirees to buy. But it had become a wandering maze of streets filled to the brim with mostly average size homes and schools were everywhere. It’s one of the reasons I no longer enjoyed living there – crowds of people everywhere. My son still lives in the area and he says that many homes now sit empty and they sell for next to nothing. Here is the link to info on the City of Deltona, in case you want to know more.